Making new wood look old. Depending on where you live, any one of these terms describe wire brushing. In the simplest terms, wire brushing is removing the soft grain from wood. 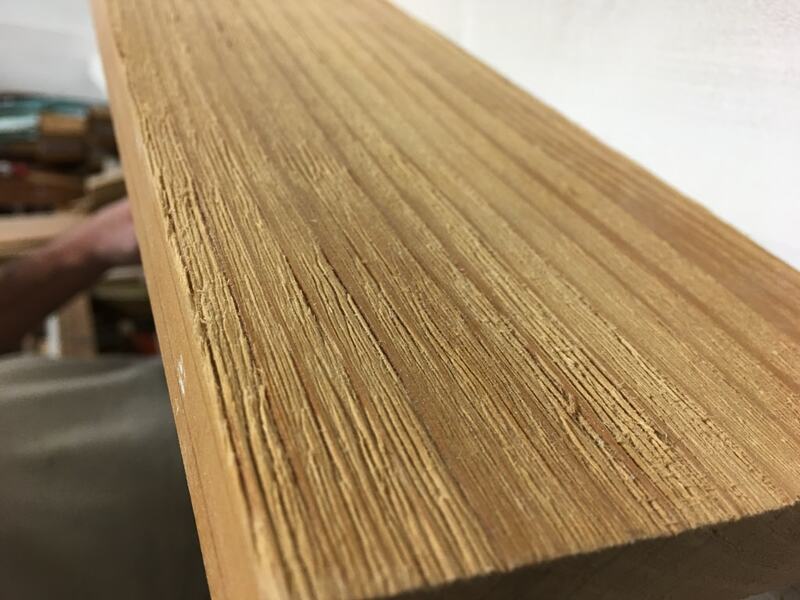 Many things can influence how wire brushed wood looks, including the gauge of wire, the number of passes, the amount of time it spends under the wire, and the type and grade of wood being wire brushed. Each of those variables can give the finished product a distinctly different look. We can wire brush any type of solid wood, veneer paneling, plastics and metals. If you have a sample of wire brushed material and you’d like us to match it, we can do that. Reclaimed lumber is a popular material, but it can be tedious to clean it. We are able to remove the dirt but keep the character. Rough sawn lumber can also be brushed to smooth the surface while leaving the saw marks.